ginger granola | eating with S.O.L.E. An ideal fuel source for fall foraging days! 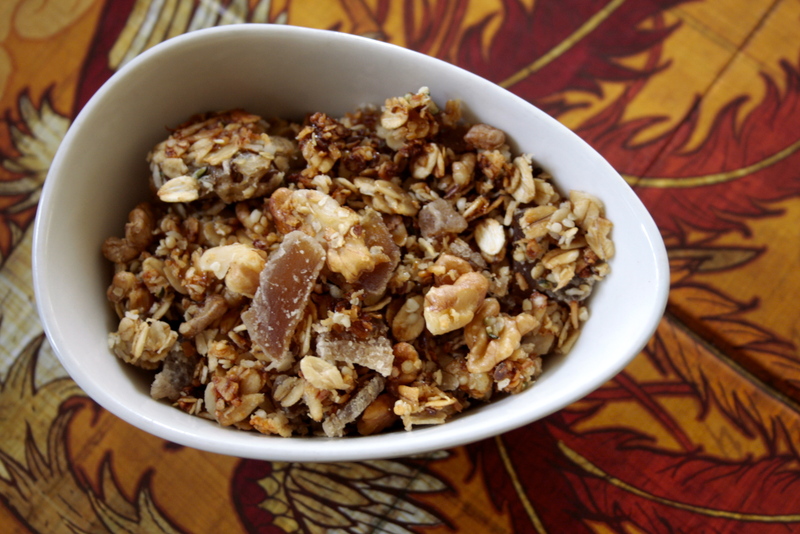 3 kinds of ginger in a tasty gluten free granola sweetened gently with brown rice syrup and laced with flax and hemp seeds oh and walnuts too of course! 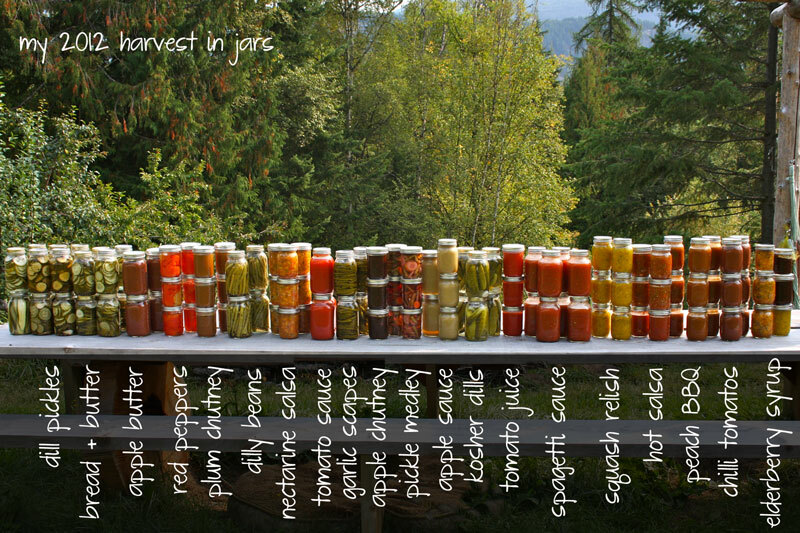 The recipe inspiration for this granola came from the most beautiful canning book in my collection: Food in Jars, by Marisa McClellan, who as it happens has just featured my storing the harvest in jars image on her blog, how cool is that? I love this book, and am as I type making mustard for the first time in my life thanks again to Food in Jars! Toss and spread evenly on a large baking sheet, bake at 325 for about 30 minutes, tossing gently once during baking. 2 cups of crystalized ginger cut into tiny pieces, gently fold into mix without breaking the whole sheet up. Allow to cool completely before putting into a jar to store. The addition of egg whites in this recipe makes for lovely clumps throughout the granola… which makes it fabulous!